All products (“Products”), information, materials, functions and other content (including Submissions, as defined below under the header “SUBMISSIONS”) (collectively, the “Content”) contained on Sites are protected by copyright, trademark and other laws of the United States, as well as international convention and the laws of other countries. All trademarks, service marks, trade names, and trade dress are proprietary to us and/or our licensors or licensees. We may change the Sites or delete Content or features at any time, in any way, for any or no reason, without notification to you. Except as we specifically agree in writing, no Content from any Site may be used, reproduced, transmitted, distributed or otherwise exploited in any way other than as part of the Site, except that where a Site is configured to enable the download of particular Content, you may download one copy of such Content to a single computer for your personal, noncommercial home use only, provided that you (a) keep intact all copyright and other proprietary notices, (b) make no modifications to the Content, and (c) do not use the Content in a manner that suggests an association with any of our products, services or brands. Any business use, “re-mailing” or high-volume or automated use of any Site is prohibited. Nucific® does not authorize the resale of our Product by unauthorized retailers. Therefore any purchase order suspected to be use for illegal distribution or any other activity not approved in writing by an authorized Officer of Nucific® may be subject to suspension or immediate termination of account and restrained from any further access to the Site. Any open order will be cancelled and credited back to Buyer. Nucific® reserves the right to pursue any unlawful distributor for violations including but not limited to The Lanham Act. In the event that an order is shipped out and is later suspected and/or is proven to be in violation of this clause, product(s) will not be approved for a refund, no exceptions. We only ship Product orders to shipping addresses that are either a physical address or USPS Post Office Box. The use of a false name, address, telephone number and/or credit card number to purchase any Products on this Site shall constitute fraud under the laws of the state of California and shall constitute your stipulation and admission that 1) your use of a false name, address, telephone number and/or credit card was and is a fraudulent representation made at the time of purchase; 2) was made with the knowledge of said falsity; 3) was made with the intention to defraud Nucific®; 4) that Nucific®’s reliance on your fraudulent representations was and is actual, justifiable and reasonable, and; 5) that Nucific® was and is damaged by your fraud. You further stipulate and admit that such conduct was and is carried out with fraud, malice and oppression and, therefore, an award of punitive damages is both necessary and proper for such conduct. All instances of fraud shall be prosecuted to the fullest extent of the law. There are two types of Submissions: Solicited Submissions and Unsolicited Submissions. “Solicited Submissions” means those Submissions (a) that we expressly request or enable you to provide to us via any feature or activity on a Site for our review or display and possible specifically-defined consideration or compensation (collectively, “Consideration”) (such as prizes or other value in sweepstakes and promotions); and (b) that you Distribute on or through any Site for which you do not seek Consideration. “Unsolicited Submissions” are any and all Submissions that do not fall within subparagraphs (a) or (b) of this paragraph. You hereby grant us and our licensees, distributors, agents, representatives and other authorized users, a perpetual, non-exclusive, irrevocable, fully-paid, royalty-free, sub-licensable and transferable (in whole or part) worldwide license under all copyrights, trademarks, patents, trade secrets, privacy and publicity rights and other intellectual property rights you own or control to use, reproduce, transmit, display, exhibit, distribute, index, comment on, modify (including removing lyrics and music from any Submission or substituting the lyrics and music in any Submission with music and lyrics selected by us), create derivative works based upon, perform and otherwise exploit such Submissions, in whole or in part, in all media formats and channels now known or hereafter devised (including on our Sites and third party web sites) for any and all purposes including entertainment, news, advertising, promotional, marketing, publicity, trade or commercial purposes, all without further notice to you, with or without attribution, and without the requirement of any permission from or payment to you or to any other person or entity. If we believe or suspect that your account information is not true, accurate, current or complete, we may deny or terminate your access to this Site (or any portion thereof). NUCIFIC® (INCLUDING OUR PARENT COMPANIES, SUBSIDIARIES, AFFILIATES, THIRD PARTY CONTENT PROVIDERS, MERCHANTS, SPONSORS, LICENSORS AND THE LIKE, AND THEIR RESPECTIVE DIRECTORS, OFFICERS, MEMBERS, MANAGERS AND EMPLOYEES (COLLECTIVELY, “RELATED PARTIES”)) PROVIDES THE WEBSITE, PRODUCTS, AND CONTENTS OF ITS WEBSITE ON AN “AS-IS” BASIS AND MAKES NO REPRESENTATIONS OR WARRANTIES OF ANY KIND, EXPRESS OR IMPLIED, WITH RESPECT TO THE OPERATION OF THE WEBSITE OR THE INFORMATION, CONTENT, MATERIALS OR PRODUCTS, INCLUDED ON THE WEBSITE. TO THE FULLEST EXTENT PERMITTED BY LAW, NUCIFIC® AND ITS RELATED PARTIES DISCLAIM ALL SUCH REPRESENTATIONS AND WARRANTIES INCLUDING, FOR EXAMPLE, WARRANTIES OF MERCHANTABILITY AND FITNESS FOR A PARTICULAR PURPOSE. IN ADDITION, NUCIFIC® AND ITS RELATED PARTIES DO NOT REPRESENT OR WARRANT THAT THE INFORMATION ACCESSIBLE VIA THE WEBSITE IS ACCURATE, COMPLETE OR CURRENT. 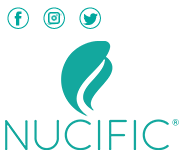 NUCIFIC® AND ITS RELATED PARTIES DO NOT HAVE ANY OBLIGATION TO VERIFY THE IDENTITY OF ANY PERSON SUBSCRIBING OR USING THIS WEBSITE. THEREFORE, WE DECLINE ALL LIABILITY WHATSOEVER FOR IDENTITY THEFT OR ANY MISUSE OF YOUR IDENTITY OR INFORMATION. TO THE FULLEST EXTENT PERMITTED BY APPLICABLE LAW, YOU AND NUCIFIC® FURTHER AGREE THAT EACH MAY BRING CLAIMS AGAINST THE OTHER ONLY IN YOUR OR ITS INDIVIDUAL CAPACITY AND NOT AS A PLAINTIFF OR CLASS MEMBER IN ANY PURPORTED CLASS OR REPRESENTATIVE ACTION. You expressly agree that exclusive jurisdiction for any claim or dispute relating in any way to this Site, its contents or the Products, resides in the courts of the County of Los Angeles, State of California. You further agree and expressly consent to the exercise of personal jurisdiction in federal and state courts of the County of Los Angeles, State of California, in connection with any such claim or dispute. If either party is required to retain the services of any attorney to enforce or otherwise litigate or defend any matter or claim arising out of, relating to or in connection with the Site, its content or the Products, then the prevailing party shall be entitled to recover from the other party, in addition to any other relief awarded or granted, its reasonable costs and expenses (including, without limitation, attorneys’ fees and costs and/or court costs) incurred in the proceeding. Both parties acknowledge that these Terms & Conditions express both parties entire understanding and agreement, and that there have been no warranties, representations, covenants or understandings made by either party to the other except such as are expressly set forth in these Terms & Conditions. These Terms & Conditions shall be binding upon and inure to the benefit of each of the parties hereto, and their respective successors and permitted assigns. You may not assign your rights or obligations under these Terms & Conditions at any time. The parties agree that these Terms & Conditions shall be interpreted as though co-drafted by both parties hereto and any rules of contract interpretation favoring one party over the other shall be disregarded. Captions and section headings used in these Terms & Conditions are for convenience only. All necessary provisions shall survive any termination of these Terms & Conditions for any reason. If any provision of these Terms and Conditions is found to be invalid or unenforceable, that provision will be limited or eliminated to the minimum extent necessary so that these Terms and Conditions will otherwise remain in full force and effect. No agency, partnership, joint venture, or employment relationship is created as a result of these Terms and Conditions, and neither party has any authority of any kind to bind the other in any respect. Any specific right or remedy provided in these Terms & Conditions shall not be exclusive but shall be cumulative upon all other rights and remedies set forth these Terms & Conditions and allowed under applicable law. All Products ship from the United States and customers are solely responsible for the payment of any applicable customs, import, export, and excise duty, VAT and/or other taxes and fees.